The Dyna-Fog Twister XL, powered by Tanaka-Purefire, is the first and currently the only 2-cycle engine approved to meet the rigid emissions standards. The TWISTER XL™ is an aerosol generator deigned to take the weight and stress off of the operators hand and wrist to ensure ease and comfort when working. Ideal for controlling mosquitoes and other flying insects, the variable chemical output capability makes the TWISTER XL™ suitable for all situations. By using the optional 2 nozzle kit, high outputs can be achieved in situations where a fast application is required (such as poultry houses. The ability to direct the high output to only one nozzle results in droplets being produced, which are suitable for leaving a residual deposit on surfaces such as vegetation and walls (barrier spraying for mosquitoes and flies). The TWISTER XL™ features the Tanaka Purefire engine, a radically new design of 2 cycle engine which gives unequalled fuel efficiency coupled with a level of emissions so low as to exceed all current or anticipated hydocarbon emission regulations. The DYNA-FOG® MICROTEC™ nozzles produce 90% of the droplets below 20 microns when used at the recommended flow rates. This meets the requirements of all current chemical labels for controlling flying insects. When the high flow rate is discharged through a single nozzle the TWISTER XL™ will produce larger droplets of 50 microns suitable for applying a residual deposit to vegetation and any other surface. The TWISTER XLTM is built from only the highest quality materials with rigorous quality control at all stages of assembly. 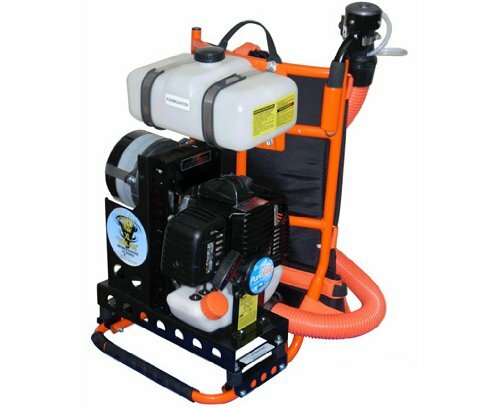 Coated with chemical resistant epoxy paint, this unit will give reliable usage with the very minimum of maintenance. Over 50 years of experience has gone into the design and production of this addition to the DYNAFOG® family of well established ULV applicators.